The 144th Golf Open is now in full ‘swing’ at St Andrews, Scotland. Although I’m not a Golf enthusiast, the location of St Andrews is very dear to me, being the place I was born. So with the event being very prominent on TV here this week, it got me thinking about what it takes to become a top professional Golfer and if there are any similarities with building a business online. Both can be a solitary business. Success or failure is totally down to you and your abilities. This article on The Loneliness and Tedium of a Pro Golfer gives a feel for what life can be like as a pro on tour. Online entrepreneurs often feel very lonely too. They work alone, often at times when others around them are relaxing and socialising. BUT they have the great advantage of being able to choose when and where they work! And the other great advantage that building a business online has over Golf is that you can interact with mastermind groups and communities of like-minded entrepreneurs. You are not in direct competition with them as you are in a Golf tournament. You can all be winners! Not everything will go the way you want. The way you react to things going wrong will determine how successful you are. When building a business online, if life knocks you down, you need to get back up and fight. Quitting penalises only you. Things can and will get better if you just stick with it. The same is true of playing good golf. This is equally true of building a business online and this is where the mental toughness also comes in. You have days when you can be on top of the world, when the money is coming in and everything you touch turns to gold. Then the next minute everything seems to go wrong. Perhaps your Facebook advertising account gets shut down for no apparent reason. Or some of the sales you’ve just made ask for their money back. You have to be prepared to accept that these things happen, that you maybe need to look at other ways of doing things (eg advertising on YouTube instead) and that things will get better again. Tenacity is a great word to use here – persistent determination. No one expects to become a top professional golfer overnight. It requires many hours of coaching and practice to become the best. The same is true of building a business online successfully. You can’t expect to put in just a few hours work and then sit back and watch the money rolling in. It can take many months, even years, of learning and testing different things to finally hit the big time. And even then, you can’t rest on your laurels. Golfers continue to practice regularly to maintain their high standards and online business entrepreneurs need to do the same. For them practice requires keeping up with current trends, continuous learning and being flexible enough to change their strategy and tactics when required. “When I read that Rory McIlroy doesn’t enjoy the game like he used to, I wasn’t at all surprised. I don’t think many top golfers actually enjoy what they do. I don’t think many top sportspeople enjoy what they do. They’re constantly scrutinised and it becomes so stressful, so pressurised. What a shame that top golfers don’t necessarily enjoy what they do. In fact, this makes it all the more remarkable that they manage to continue to practice and play to the best of their ability. This is where successfully building a business online has a great advantage. You can choose to focus your business on an area that you are passionate about and you can do this whilst still staying out of the public eye and all the pressures that can bring. To me this is a win-win situation. 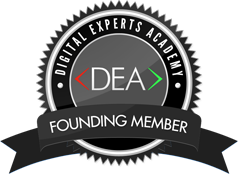 Helping others to be the best they can be is my passion and I do this through the medium of the digital education offered by the Six Figure Mentors and Digital Experts Academy. How Much Does It Cost To Play Professional Golf? Apparently the quick answer is about £100,000 ($150,000) per year and a few lifestyle sacrifices! Building a business online also costs money. It’s just not possible to create a viable, sustainable business without some form of investment. But the good news is that it will cost a lot less than playing professional golf, probably offer greater income potential in the longer term, and allows you to ‘earn while you learn’. So which would you prefer – to be a top professional golfer or a successful online entrepreneur? I know which I would choose! PS If you would like to learn more about how the Six Figure Mentors and Digital Experts Academy can help you create your own profitable online business, sign up for our FREE 7 Day video series. Submit your Application To Join us now.